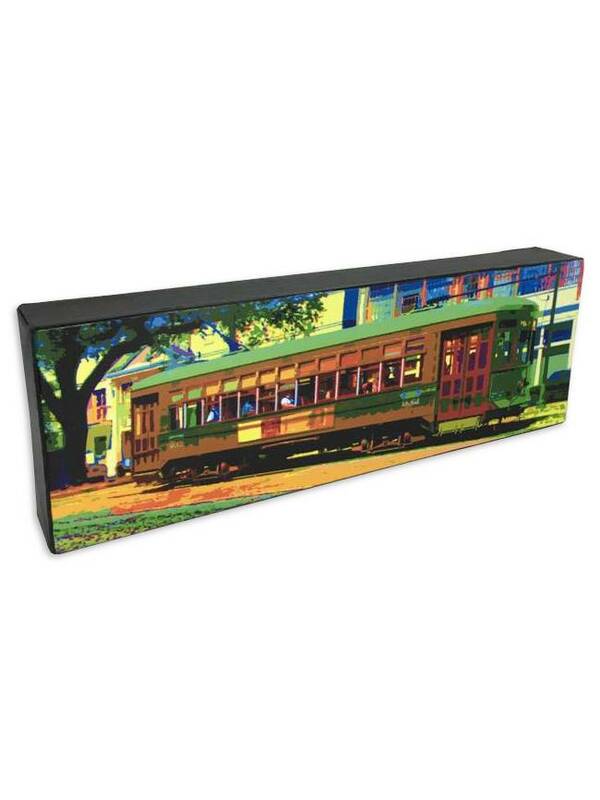 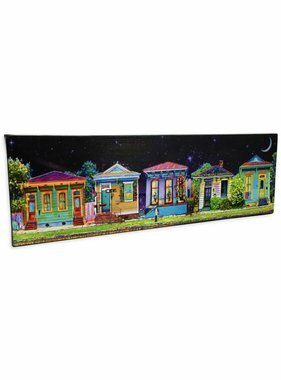 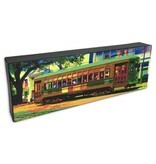 A colorful New Orleans scene adorns this ready-to-hang canvas art. 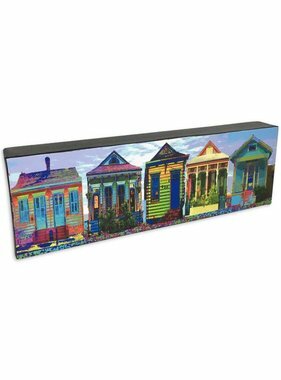 Size is 12 inches by 4 inches by 1.5 inches. 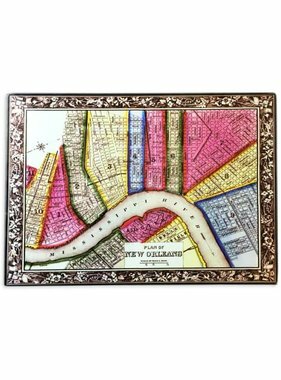 Suitable for wall or tabletop.